If you're going to glow, glow all the way! For our black-light parties, we pull out all the stops! Your shirts will glow, your socks will glow, your teeth will glow! Really want to kick things up a notch? Add fun stuff like a balloon drop of black-light reactive ballons, Glow-fetti or even GLOWBUBBLES! 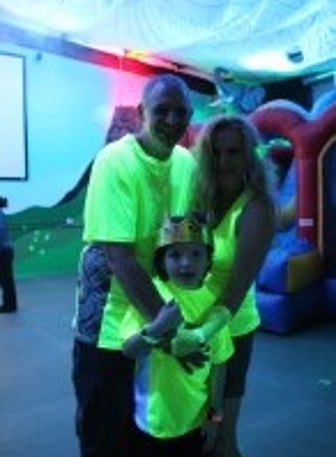 At Kicky & Tink's Playhouse we do black-light right!